Pronounced (pahn bahn-YAHT) it’s a traditional sandwich from Nice, France. 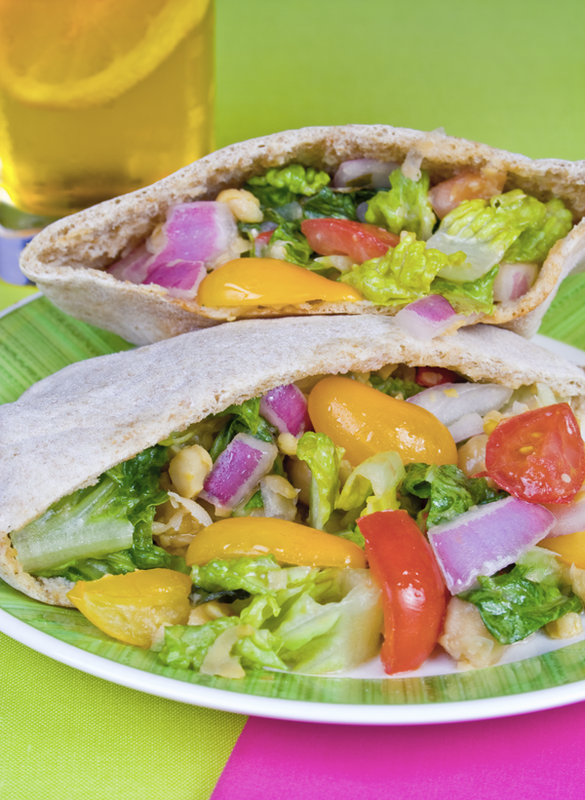 Basically a salad on a bun, except here we’ve replaced the bun with a pita pocket. It works nicely, holding in all the ingredients and lovely juices. What seems like a simple sandwich is actually full of flavor.